Joseph has always been a “collector.” Throughout his life, he enjoyed collecting unique items from butterflies to military medals. His greatest and most prevalent fascination is fossils; trilobites and Dinosaurs in particular. He began to develop his fossil collection and subsequent search for knowledge as a young boy growing up in the fossil-rich Niagara Falls area. Joseph graduated from LewistonPorterHigh School and subsequently Niagara University with a degree in Education in 1979.He has always enjoyed the opportunity to share his knowledge and experiences with others. He assembled a fine collection of marine invertebrates from the Niagara Frontier area and, prior to his entering the US Army in 1979, donated it to the Schoellkopf Geological Museum of Niagara Falls. Following his military service he, once again, began to collect fossils and at this point began to specialize in Trilobites. These were the ancient saltwater sea creatures that once thrived in the tropical seas that once covered Michigan, New York, and Ohio. Since moving to Midland, Michigan in 1993, Joseph has taught classes on fossils in many Michigan elementary and middle schools. As he gained a reputation as an energetic and entertaining speaker in the persona of “PaleoJoe”, dressing and playing the part of a “digger” he has taught programs around the states of Michigan, Indiana, Arkansas, Utah, Iowa, Northern Ohio, Wisconsin, Indiana, Kentucky, North Carolina, New Jersey,before returning to Michigan. His fossil programs to school kids begin with a brief introduction to what a paleontologist is and does, how fossils form, what fossils are, he then moves on to fossils in the Mid-West, then the Ice Age followed by a spirited discussion on Dinosaurs. His programs are age appropriate and have received rave reviews from teachers and students alike. He has done programs ranging from Montessori schools to the lifelong learning center at SaginawValleyStateUniversity. He has been the keynote speaker at functions across the midwest at universities, museums, church groups, corporate meetings and nature centers and of course libraries and schools. 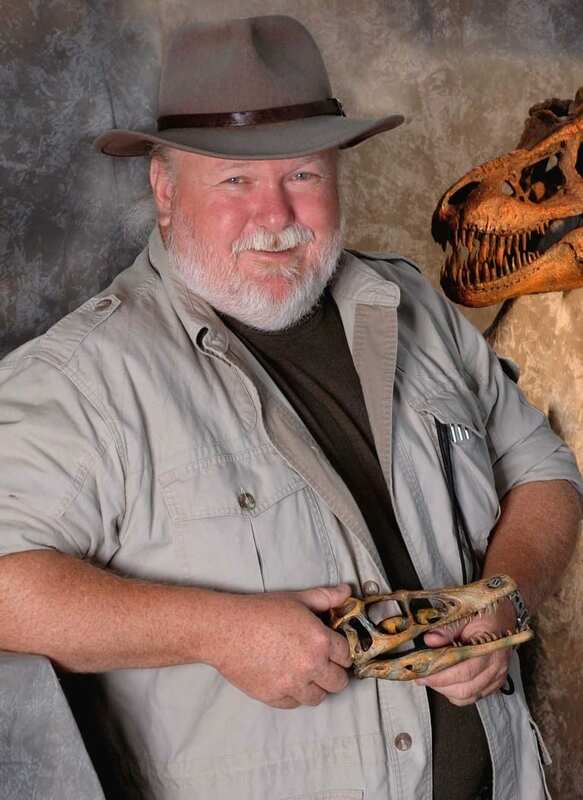 He has been privileged to be a keynote speaker many Rock and Mineral Society meetings and 13 time Guest Lecturer at the Greater Detroit Rock and Mineral Exposition. 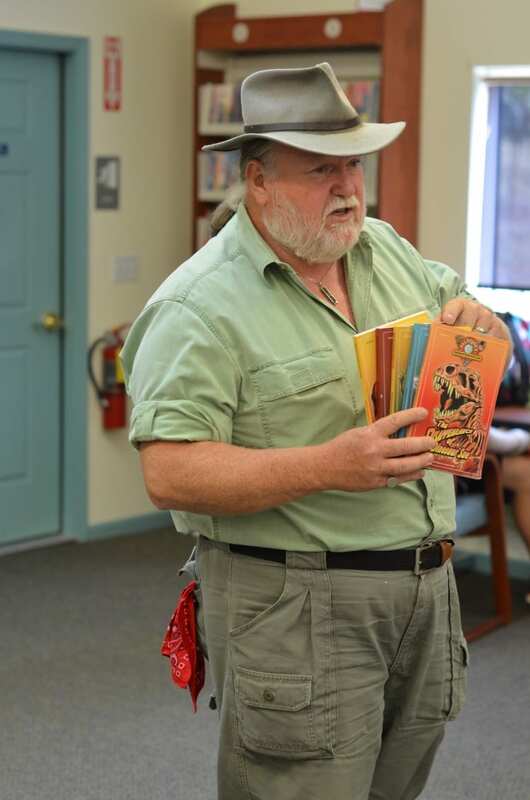 Early on in his career – he taught “Family Fossil Fun” at local venues and developed that curriculum into an ongoing series for a local TV station in Midland MCTV. The TV show ran for 14 episodes. In 1999, PaleoJoe was honored as a finalist in the Philo T. Farnsworth Video Competition for an episode of that series. PaleoJoe has displayed fossil expositions at Museums across the Midwest one of which is called Trilobite Treasures: Arthropods of the Ancients Seas. From that small exhibition, he has created a traveling museum exhibition that is currently touring the United States. It is the largest and most comprehensive exhibit on those ancient creatures once so plentiful that the Cambrian Period was called the age of Trilobites. The exhibit contains over 200 actual specimens and artifacts. Trilobite Treasures toured Michigan in 2005 and 2006, moved on to Iowa, spent a year touring museums in Wisconsin before returning back to Michigan for in 2009. He has led and continues to lead many Paleontological expeditions per year to the fossil-rich areas around Alpena, Michigan. PaleoJoe was also fortunate to participate in a Paleontological dig in the Czech Republic and toured the public and private trilobite collections of the CzechNationalMuseum. PaleoJoe has donated many fossils to that museum and has been honored to have one of his trilobites on permanent display in that Museum. He continues to speak to schools and community organizations. As an example, he has spoken to 12,500 students in 124 schools in Michigan during the 2001 and 2002 school season alone and averages 60 school visits per year. This year, in 2013 he will be visiting 84 libraries in 70 days. In 2003 PaleoJoe participated in a Dinosaur dig at Como Bluff, Wyoming with famed maverick paleontologist Dr. Robert T. Bakker. In 2004 he discovered ribs of an 11 Million-year-old Rhino in Nebraska at the Ashfall Fossil Beds while digging with famed paleontologist Michael Voorhies. In 2007 he worked on a team recovering T- Rex Dinosaur and discovered bones of a Triceratops in Montana. 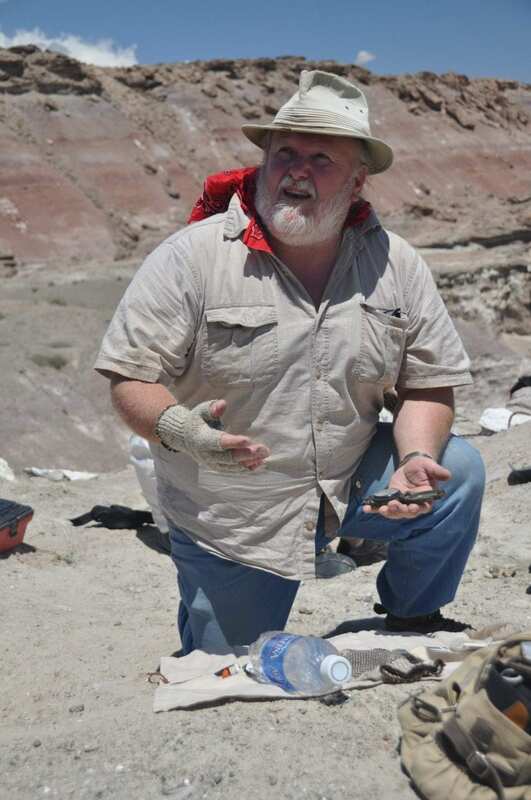 In 2008 he discovered remains of an associated Camarasaurus – a 60-foot long dinosaur in the deserts of Utah. Last year while finishing the Camarasaurus dig, he uncovered remains of an Apatosaurus. In 2013 he discovered remains of another long-necked dinosaur, an Apatosaurus. In 2015 he discovered remains of a prehistoric Armor-Plated Fish that so far may be a new undescribed species. In 2016 he discovered serveral Denonian Fish in Apena, Michigan that are now part of the collection of the University Of Michigan Museum of Palentology. In conjunction with Fox TV Detroit and Mackinac Island Press, PaleoJoe developed a program “The Ultimate Field Trip” giving an entire classroom of students a free dinosaur dig in Wyoming. PaleoJoe has collected in Michigan, New York, Indiana, Ohio, Kentucky, Alabama, Wyoming, Montana, Utah, Ontario and the CzechRepublic.